Un nou espai polifuncional d’acollida a les persones visitants o turistes, complementari dels existents actualment a Catalunya. 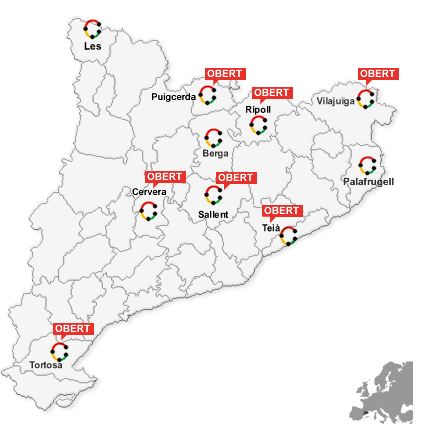 El Centre d'Acollida TurÃ­stica (CAT) de Sallent organitza la visita guiada "La Riquesa Industrial de Sallent, Telers i Sants" cada segon diumenge de mes. 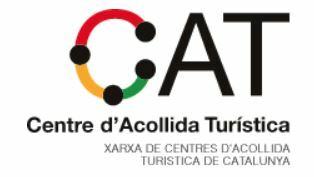 A Tourist Reception Centre (Centre d'Acollida Turística or CAT) is a new multifunctional space for receiving visitors or tourists, in addition to those currently existing in Catalonia. Their purpose is to receive travellers or tourists, guide them and, at the same time, provide them with information about Catalonia by presenting its most representative cultural references and elements of identity. A CAT is, then, a tourist facility providing tourist information and making it possible to promote and sell tourist products and services. What is a CAT like? A CAT is a new, modular building. It is built according to criteria of sustainability and respect for the environment. It is located in places that are easy to access, integrated into the road communication networks. It is easily identifiable, with a strong exterior corporate image of its own. What can travellers find in a CAT? Visitor reception and welcome area. Information point on the range of tourism available in the area and the CAT's sphere of influence. Area for displaying and selling products from the country and Catalan crafts (Empremtes de Catalunya). Area for displaying and tasting Catalan agri-food products. Thematic area using audiovisual techniques to explain the central motif of the CAT, based on an important aspect of Catalan history and culture. What does the CAT Network show? At each CAT there is a 100m2 thematic area devoted to explaining an aspect of Catalonia: an important event, character or chapter in Catalan history. This exhibition area offers a first meeting with the Catalan culture and identity, and the aim is to make Catalonia known to tourists and visitors. Each CAT deals with a theme linked to the region where it is located and, at the same time, shows the cultural wealth and diversity of Catalonia.